Last month we ran the great Celestial Effects Sagittarius Overdrive / Boost give away. Lots of people were into it (so was I) and the winner was Joseph. 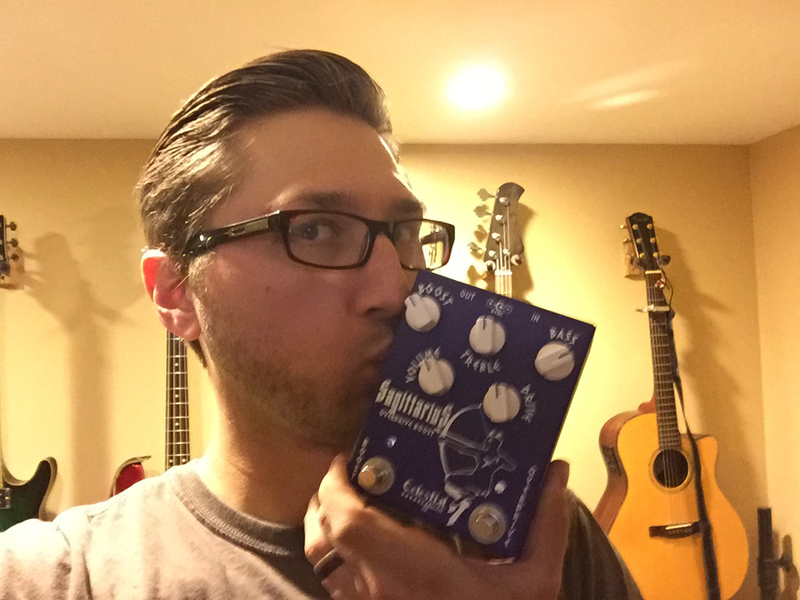 He recently sent me a photo that expressed his emotions about winning this great pedal. Like they said a picture is worth a thousand words! I want to say thanks again to Celestial Effects for letting us give away another pedal. People love your stuff!!! Thanks Joseph for sending this photo.. very much appreciated! Possibly this week, but most likely next week, I’ll be posting a new give away. Keep an out for it!! !